Python is the most popular programming language for Data Science as on Today. Python is powerful , easy to learn and flexible tool for coding Data Science and Machine Learning algorithms. In recent years, Python has evolved immensely with respect to Data Science sphere, with a huge community around Python creating quite a few power data science and analytics packages such as Pandas, Numpy, Scikit Learn, Scipy and more. As a result, analyzing data, modeling machine learning algorithms with Python has never been easier. This course "Data Mining with Python", is designed for candidates with or without programming skills, with basics of Data importing and Data mugging along with effective programming techniques. This also includes Python Data Science challenges kit, enabling the candidates to not only understand Python core concepts but also gain practical mastery over Data Mining with Python, which is very much in demand in Today's Data Science job opportunities. The objective of this course is to provide the fundamentals of Python programing and introduce Data Science concepts and Machine Learning. Why Data Mining with Python Course? Python is the most popular programming language in Machine Learning and Deep Learning alorithms as on Today. A quick search in indeed.com reveals about 50,000 open job opportunities in USA alone as a day average in year 2017 for Python professionals. This trends is only going to increase exponentially in year 2018 to 2020, aligning to 3 million Data Science job opportunities by 2020 as estimated by IBM Inc. This course is designed to imbibe the best practice programming skills in Data Mining with Python with real world Machine Learning case studies. Candiates pursuing this course will be aligned with the current market job requirements. 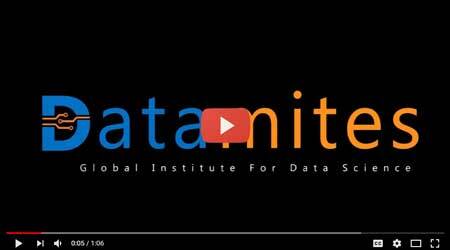 Any professional aspiring to become a Data Scientist can start from this course. Professionals, who's job involves Data Science and Python. Advantages of Data Mining with Python Course. In recent years, Python gained popularity as the preferred langauge for Machine Learning and Deep Learning. This course provide the advantage of cutting complexity of Python Language and focus on learning Data Mining with Python in most efficient and effective manner to become Python Data Science developer.